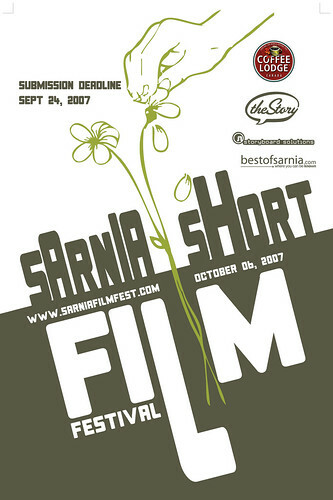 We are running the Sarnia Short Film Festival here in Sarnia this year on October 6th. 7 minute maximum films need to be submitted by MiniDV or DVD by Sept 24. Submissions from any city will be accepted. A lot of the details are still being figured out, but we wanted to give everyone a head start in getting their film together. There was a press release on Friday in the Sarnia Observer getting the word out and we’ve already had a few submissions as it is. Should You Give to A Beggar? guy thats a really sick design. is it yours?